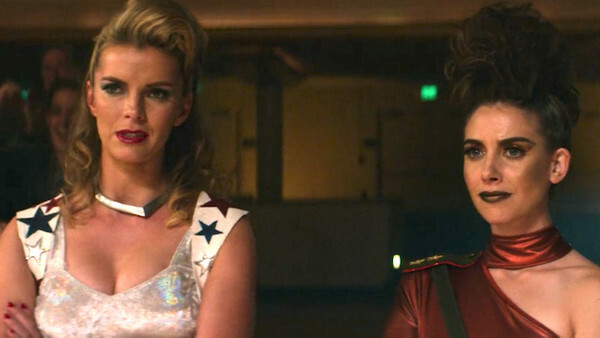 Although GLOW's great first season built-up the conflict between Ruth and Debbie - or rather, Zoya the Destroyer and Liberty Belle - it ended in surprising fashion, with Tammé, aka The Welfare Queen, stealing the GLOW Crown as part of Sam's plan to continue the storyline. The second season should continue to focus on the rivalry and broken friendship between Ruth and Debbie outside the ring, but inside they've now got some more competition, and that should mean we get a triple threat match for the championship. Not a lot is known about GLOW Season 2 at present, but this is one of the scenes we can and should expect, and given how much fun the in-ring action was last year, this - with various relationships and storylines coming together - could top the lot.